It’s a sunny day, we wake up ready to drive up to Uluru, which means 751 km! Will we make it? 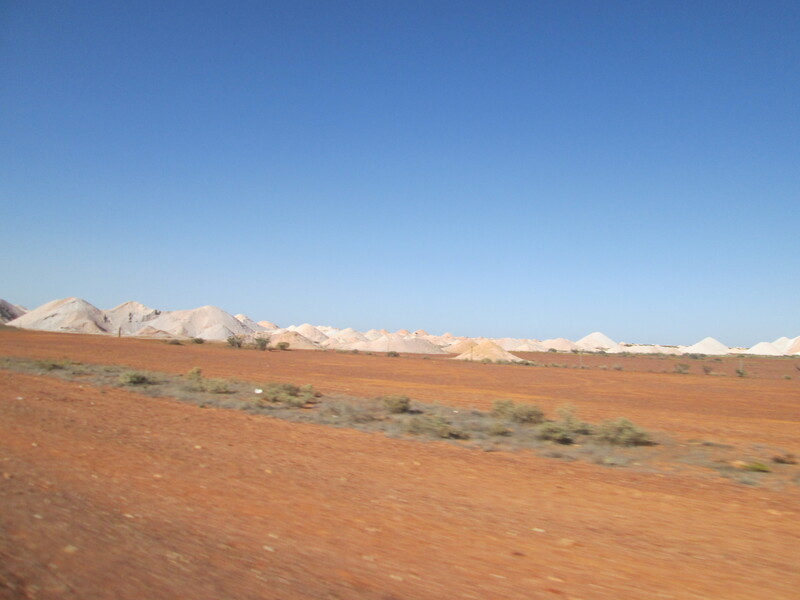 We leave Coober Pedy at 8.30 am (which is not that early for such a long day! ), we say goodbye to this landscape full of opal mine hills. We are full of energies and can’t wait to reach Uluru. 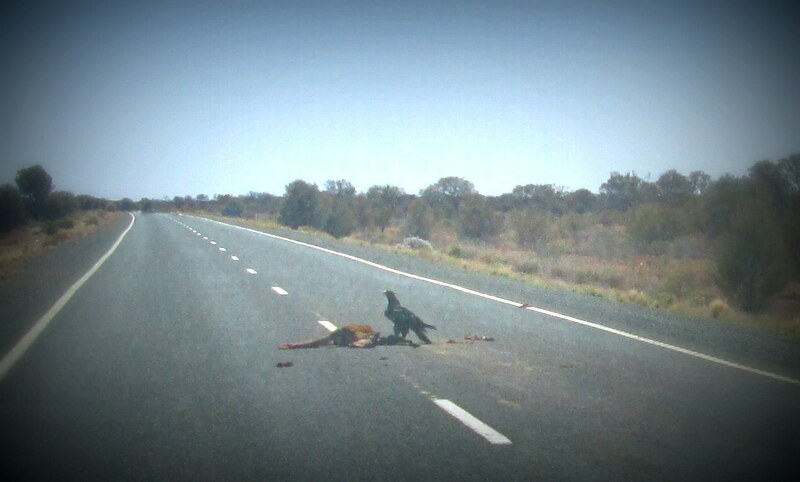 On the road we see an eagle eating a poor kangaroo; it’s the first time in my life I see an eagle so close to me!It doesn’t want to leave its prey, I have to stop the van to make sure it flies away. 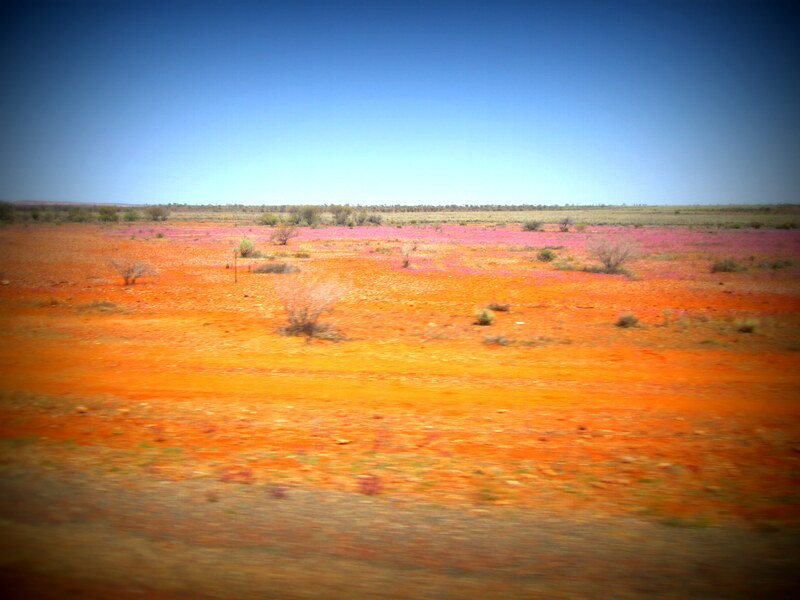 The desert in spring time has amazing colours, I can’t believe my eyes!!! After a long drive we finally reach the Northern Territory, yuppie! We feel sooooo happy even if Uluru is still a long drive away. 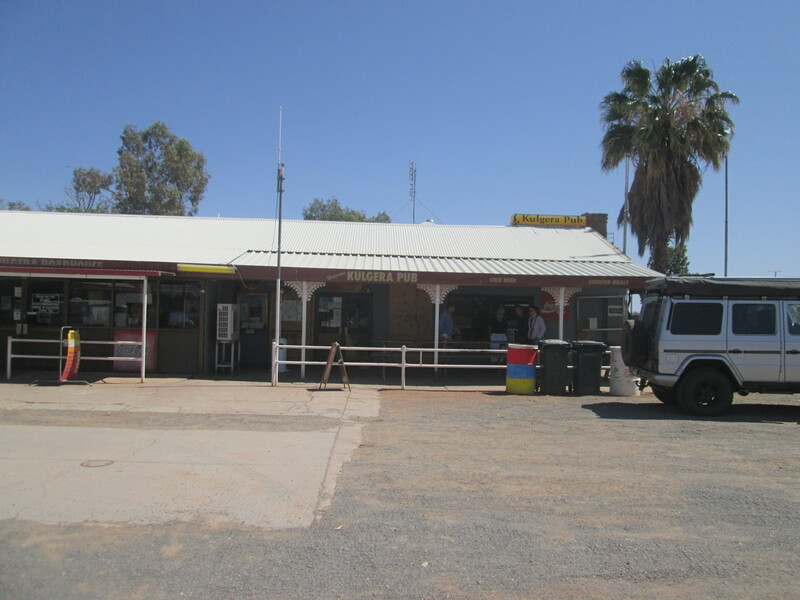 We stop at the first pub in the NT called Kulgera and we really enjoy its food (Mr. Bingles eats a camel hamburger and likes it!) and the atmosphere. 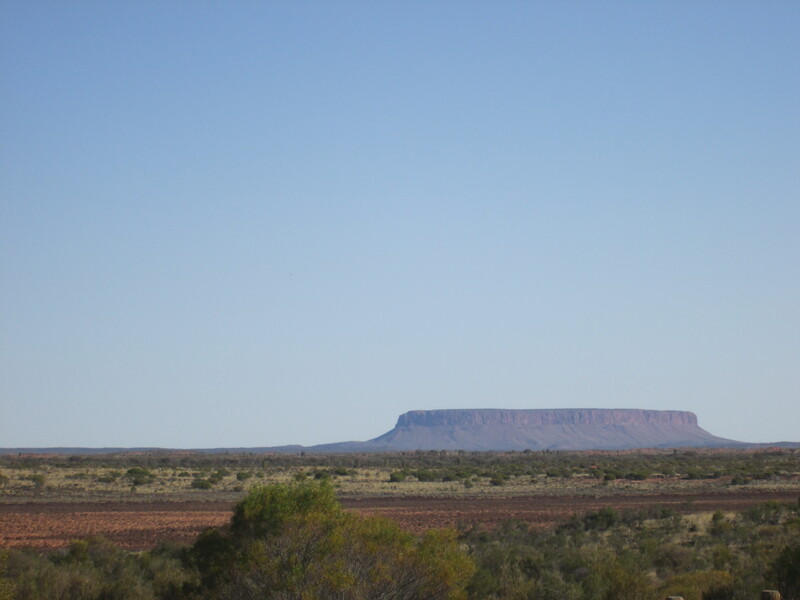 We keep on driving and at about 140km from Uluru we spot a big mountain and we think it’s Uluru, but it’s not! We have to reach Uluru before the sunset as at that time lots of animals like kangaroos wonder around and can easily cross the road in front of us. We also need to put up our tent before the sunset (6.30pm). The pressure is on. 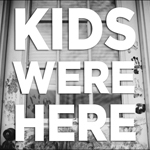 I can’t believe we made it! 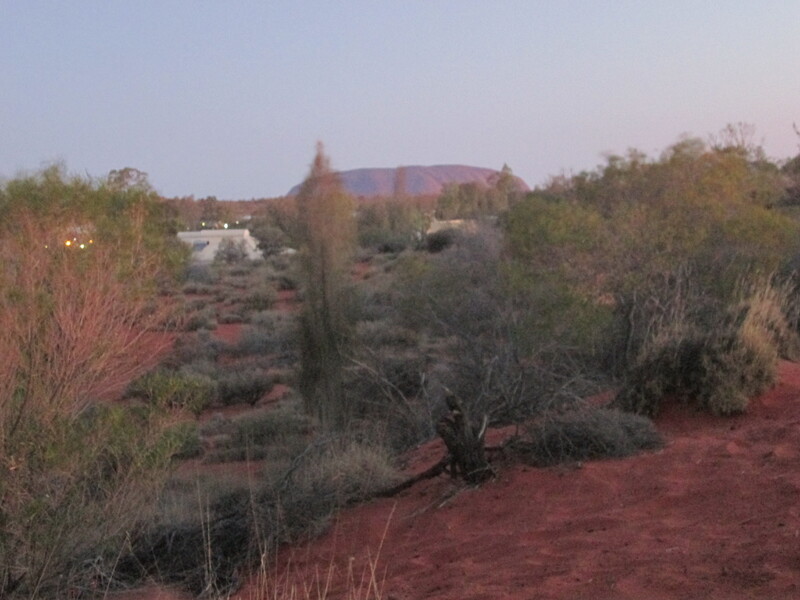 We arrive at Uluru at 5.40pm, put up our tent and walk up a little hill in the camp site to watch the sunset. 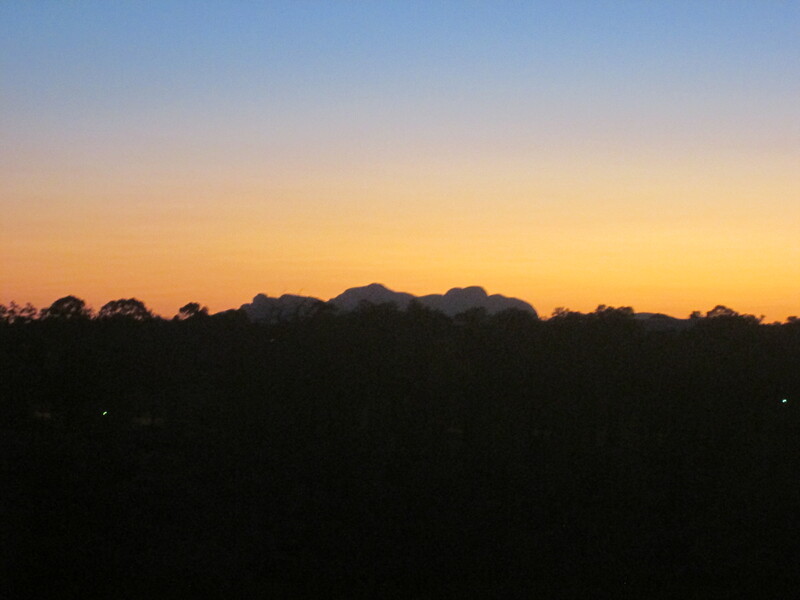 I can’t wait to visit Uluru-Kata Tjuta National Park tomorrow! That’s a mighty long drive in one day!